This isn’t as far-fetched as it sounds. It also isn’t as time-consuming as you might think. It’s not as though you are going to suddenly start plowing acres of land and plant crops. Instead, you can set up a small garden in the corner of a backyard for things like cherry tomatoes, salad greens, green beans, herbs, peppers and cucumbers. No dirt in your yard? All of those fresh vegetables can be grown in containers. Think of how great it would be if you could pick your own salad! As long as you’re growing your own food, you should also fertilize it. All those food scraps you are tossing out can be part of your compost pile. This would make you growing food and then you fertilizing food all part of the same circle. That’s the epitome of eco-friendly! How many times during a typical day do you use paper plates, plastic knives, forks or bowls? It makes a lot of sense not have anything to wash up after meal. But what is actually happening is that you are creating a lot of garbage that could be minimized. Maybe cut back on the throw away plates and utensils for at least two days a week and switch over to cloth napkins. A smart investment would be a decent sized toaster oven. This is something that you can cook a lot of meals and without cranking up the stove. The same can be said for your microwave. You probably already use it a lot but there’s a whole range of meals you can discover that are all microwavable and taste delicious. Anytime you throw something out you should always ask yourself, “Can this be recycled?” That might be easy to consider with small things but what about something like a recliner for an old futon that you want to get rid of? Actually, those things can be recycled to if you hire Junk King Miami to haul them away. Junk King Miami has been dedicated to a green way of doing business ever since they started operations. 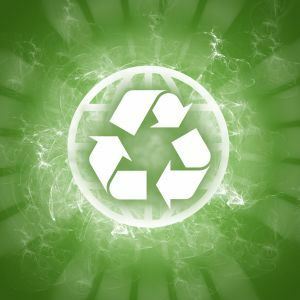 They’ll make sure whatever recyclable material you toss out will get to the right facility. Most of everything else can be donated and put back into circulation. That’s just as good as recycling. If you want a great green partner for junk recycling look no further than Junk King Miami. This entry was posted in Miami Junk Recycling and tagged green, house, junk, recycle on August 31, 2017 by Junk King. Last updated August 31, 2017 .